The Malaysian archer’s two top seeds on the international circuit have come in Utah. 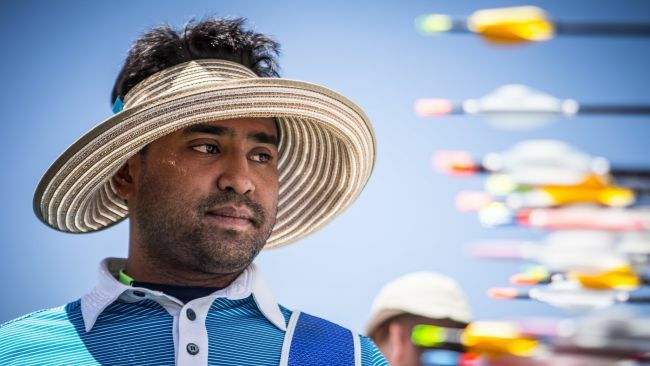 Khairul Anuar Mohamad of Malaysia scored 675 out of a possible 720 points for the 72-arrow 70-metre ranking round to lead the recurve men at the third stage of the 2018 Hyundai Archery World Cup in Salt Lake City, USA, finishing eight points ahead of his nearest opponent. The leader of the Malaysian men’s team was followed by Dutchman Sjef van den Berg with 666 points in second and host nation archer Brady Ellison on 663. “I said I’m working on my confidence and today proves I’m getting there,” added Khairul. Marcus D’Almeida, who seeded fourth with 659 points, celebrated his first ever top-five individual seeding at a stage of the Hyundai Archery World Cup. Chinese Taipei’s Tang Chih-Chun ranked fifth and French archers Jean-Charles Valladont and Thomas Chirault sixth and seventh. Li Jialun of China won a three-way shoot-off for the last top-eight bye into the third round, beating out the USA’s Jack Williams and Sugio Tomoki of Japan. The trio had tied on 650 points. Khairul’s Malaysian men took pole in team qualifying, followed by the USA and the Netherlands.